Home › Tools › What Is Teezily? Have you ever had a slogan or an idea for a t-shirt? I mean come on we all have, right? Well, I would like to introduce you to Teezily. 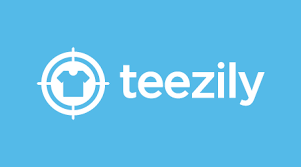 Well, Teezily is a platform for having your ideas put onto shirts and for people buying them. This is called a print on demand business. Teezily is an online platform that allows you for free, to upload artwork and have it available for sale on Teezily website. You then make a commission on the sale if your product sells. As my website (Highlander Money) deals with the various methods of making money online, this is another possible method of generating income from your own thoughts and action by designing and marketing your own t-shirts. You can make money at Teezily as being an affiliate, a seller or if you don’t like marketing as a designer. Options people! By simply adding your design to the marketplace you can make 30% commission as a designer, this is the simplest method of receiving a passive income at Teezily. Once you have uploaded your artwork at Teezily, they take your artwork and puts in onto their product only when someone orders it. They also ship the product to the customer, another great attribute to print on demand companies. This allows you more time to deal with designing and possibly marketing your designs. When your product sells you make a commission. How much commission? For both affiliate and seller, you earn 70% commission but if you only want to be a designer you can still make 30% commissions on your designs. Great passive income with little work. When you post a campaign, you can set how long the campaign will run. You can either have it run for 24 hours to 20 days. What Kind Of Products Does Teezily Have? Take a look below at some of their favorite designs to get an idea what is offered at Teezily. Each product has several options as well, which make is very customizable. Free to join and use. Gotta love free. Three types of payment to receive PayPal, bank transfer, Payoneer. Teezily has an active affiliate program with a high potential commission as high as an astounding 70%. I would much appreciate if you support my site by joining the program under me here, Join Teezily Now! A main positive with Teezily is that it is one of the few companies that sell in the European marketplace. A great place to increase exposure for your art, the European market. They have a blog, that has useful information. A pretty thorough layout for creating and maintaining your campaigns. Lots of options and settings. The ability to alter the selling price of a campaign, keep in mind this will affect your profit margin but is a great way to possibly increase sales. Teezily University is very very helpful to get you earning income. A must read! I believe this is the highest commission I have found for this type of business. Up to 70% commissions on direct link clicks. 30-day cookie cycle. A decent amount of time. Can earn a commission as an affiliate, a seller and/or a designer. 70/70/30 percentage. If you don’t like marketing, you can still make a passive income being a designer. 11 products to have your design on. I really how they have broken down the options available for specific selling points of t-shirts and products. Like for example, fundraise, family, hobbies, sports, animals, events, jobs, entertainment, age, and names and last names. This makes it easy for a potential customer to find a gift for someone quick and fast. A great feature is the Translation App. Since this is mostly based in Europe, as there are many languages to market to. They simplify this experience with this app into possible 8 languages. French, German, Spanish, Italian, Dutch, Danish, Portuguese, and Swedish. This allows you to market to who you want if not all. Time limits on campaigns. I don’t enjoy reposting a campaign over and over. I also don’t like the idea of buying a t-shirt on a time frame as most tell you there is a certain amount of time left to buy it. Pressure selling. I dislike, when you mouse over the t-shirt you want to look at, it automatically shows you the back of the shirt. Why??? Must meet a minimum of 10 products in your campaign for it to be sold and profited upon. There is no maximum limit. Don’t have the latest phone cases. iPhone 6 and Galaxy 5 and 6 cases only as of 5/24/2017. Some products are not available for sale in the USA. Bummer…dude! It doesn’t state, at least I couldn’t find it how big the mugs are. On both the customer side and affiliate side. The support ticket I have yet to receive a reply from. So, support is spotty. If you’re a complete novice or even an intermediate designer, I want to promote to you that anyone can design t-shirts. 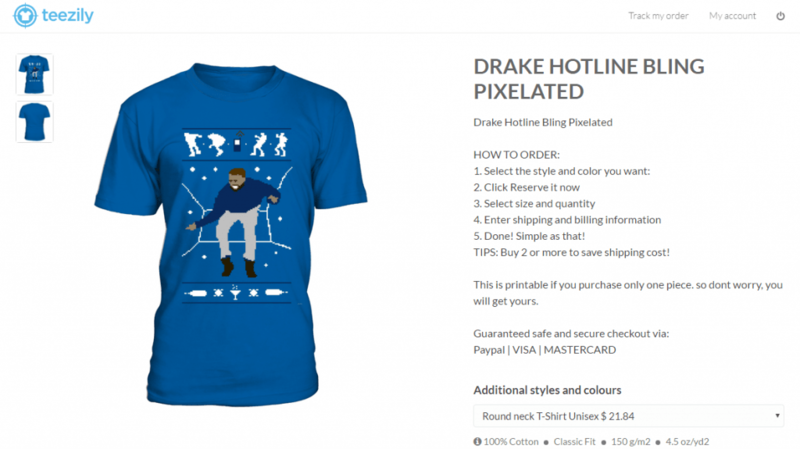 I would also like you to read my post on, Tips On Designing T-Shirts And Selling Them Online. I run through some of the basics as well help you make the jump to designing t-shirts must faster. Lots of important tips. This is a must!!!! 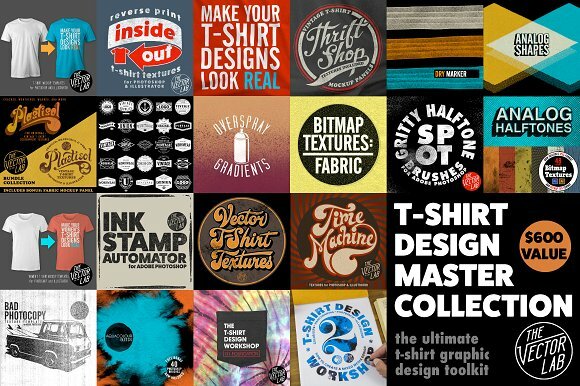 Head on over to Creative Market for discounts on graphics that will significantly boost your t-shirt game to the next level. This will help you get ideas as well. Very affordable!!!! A small example of the items at Create Market. If you are not an artist, you can still pay someone to design the graphic for you. Fiverr is an excellent choice for finding a competent artist to help you out. Get familiar with marketing on social media site in order to get target customers to look at your designs. You can also find this free Teezily Success Guide here. Think outside the box. Kinda vague but it’s so true. Sometimes the simplest design or just a phrase and no picture sells a lot. Try other print on demand companies to see what fits you right the best. You can find alternatives to Teezily below, at Teezily Alternatives. This also increases your exposure as well. Also, keep in mind that your design can be sold at other platforms while selling at Teezily. I would upload to the other platforms as well to help generate income. 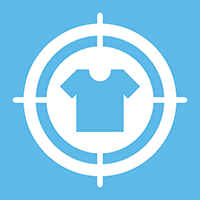 Create your own store once you join Teezily, this will consolidate all of you designs campaigns in one spot. Go to their University and learn the practice what they teach. This will significantly increase your chances of having money being thrown at you. If you are looking for sites like Teezily, you have come to the right spot. As I have reviewed many print on demand websites in which you could potentially sell your designs and make income. Below I will list the company link and a link to my in-depth review. Redbubble – Read my review here, What Is Redbubble? Can You Make Money With Redbubble? Viralstyle – Read my review here, Is Viral Style A Scam? SunFrog – Read my full review here, What Is SunFrog? TeeChip – Read my review here, Is TeeChip A Scam? Society6 – Read my review here, What Is Society6? 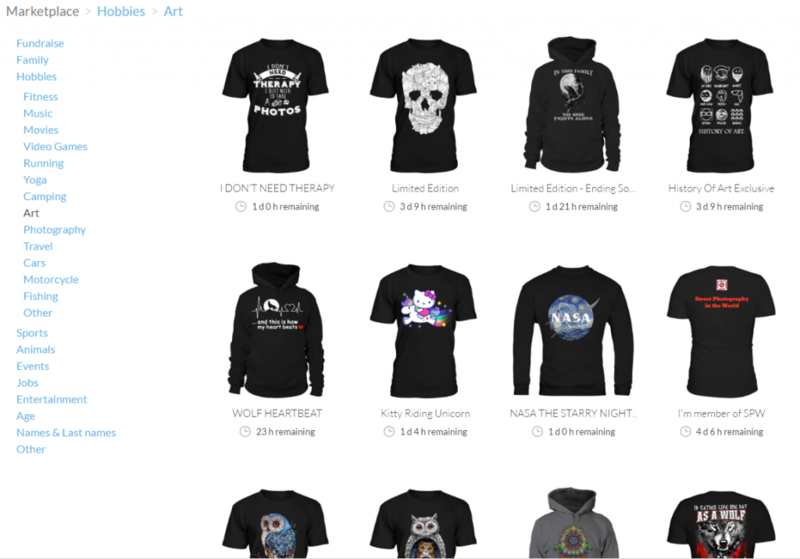 Teespring – Read my review here, What Is Teespring About? HandBubble – Read my review here, HandBubble Review. Teezily is for anyone looking to generate more income. This could possibly be a full-time job replacement if you were successful enough with it. But it is also good just for supplemental income. So, basically, you get back what you put into it. The apparent conclusion to designing t-shirts might be that you have to be an artist, but that isn’t always the case either. If you have plenty of good ideas that is all that matters in essence because you can find a way to upload or create art through other means. Sometimes just a slogan with a good set of fonts with no graphics might be a best seller. So, it can be just about for anyone. I mean who hasn’t thought up a t-shirt slogan and thought to themselves I’d buy that. So, don’t let that you’re not an artist stop you. Teezily Education Center also called Teezily University is a wealth of knowledge for both novice and experienced designs. This is a must read if you are a complete novice or experience designer and marketer. There are plenty of strategies and tips to get you earning the almighty dollar. TranslationApp is another excellent tool available at Teezily. This app allows you to translate any and all content from descriptions, designs, titles, URLs, Facebook, Posts, and email. This is the first print on demand company that I have seen that offers this kind of service. Its free to join and use. What I really like about Teezily is its ability to target Europe. There is less competition over there than say the USA. I haven’t read too many complaints stemming from users of Teezily. Their support ticket system is broke as I have sent two tickets with zero replies, use the phone number they provide for you. I also love the TranslationApp as well as the Education Center, as the more you know, the more effective your campaigns will inevitably be. People do make good money with designing t-shirts and products and with the high commissions at Teezily you’re more apt to succeed. This works and is what I use! Thanks will join Meluxe on Teezily. Glad to hear it. Good luck to your success! Ok…thanks for letting us know. Plenty of ideas out there right? Good luck. So, what happens if a customer orders just one product? If you do not reach the minimum of 10 sales of your product(s) within the time frame, the customer is refunded the money and nothing is printed. Leaving you and the customer bummed. This is a real negative in my book. Hope this helps. Not really sure of your question, as you didn’t really word it correctly. I am going to try and answer it anyway. 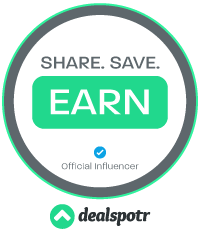 When you have created your account at Teezily either through your designs or affiliate program there are buttons to share on social media within that particular page. You can also copy and paste that particular web address. In the affiliate dashboard, click the marketplace tab and you will see your affiliate tag, where you can add this to the end of any webpage at Teezily. I would also recommend you spend a little time at their Education Center learning a little about ways to use Teezily.